The patented Fascia-Bar applies acupressure to the hot spots to relieve pain, then begins helping the plantar fascia ligament to heal itself. This is our proven and all natural approach to pain relief and healing. As for engineering, HTP Full Length Heel Seats are the result of 30 years of research and design. They are clinically-proven to resolve heel pain in more than 9 out of 10 customers and are backed with a 100% money-back guarantee if they don’t work for you. 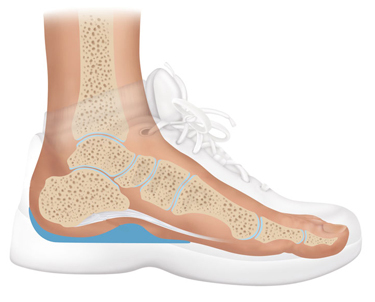 Patented fascia bar technology applies therapeutic acupressure to the heel bone, providing fast relief from pain, and these orthotics have been specially constructed to gently lift the plantar fascia ligament back to its proper position. If you suffer from Plantar Fasciitis, heel spurs and heel pain, these inserts were designed specifically for your condition. 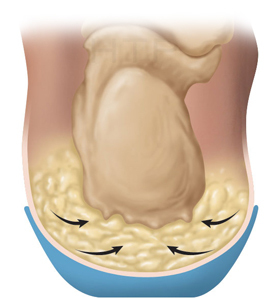 Most customers experience significant heel pain reduction within 1-8 days of wearing HTP Full Length Heel Seats. You can stand, walk and run again without the burden of pain, with the right support. 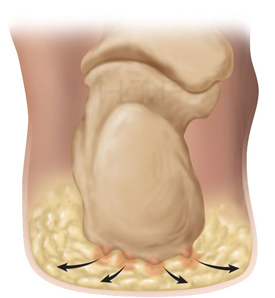 The heel bone (calcaneus) becomes agitated and painful. The Fascia-Bar support increases the density of the fat pad under the heel to naturally soothe the pain away while letting your body begin to heal itself. Still Not Sure Full Length Heel Seats Are The Miracle Your Feet Are Hoping For?